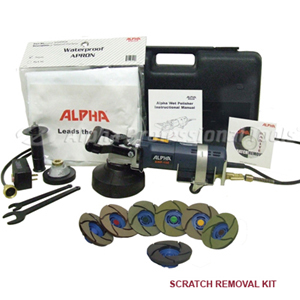 Designed with stone fabricators in mind, this kit comes with everything you need for scratch removal and seam polishing in the field. Start with the How-To Video to learn the proper scratch removal technique, then utilize the Alpha® Twistouch Turbo system to polish the flat surface without the wavy finish caused by most flexible polishing discs. Great for Seam Polishing and Removing Scratches!